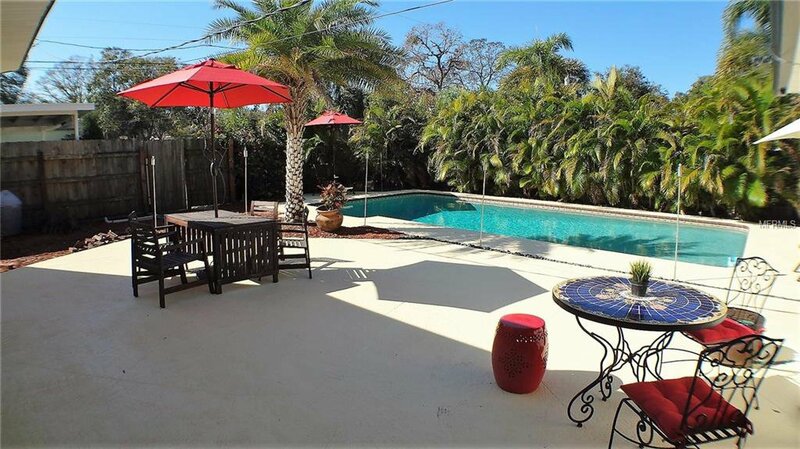 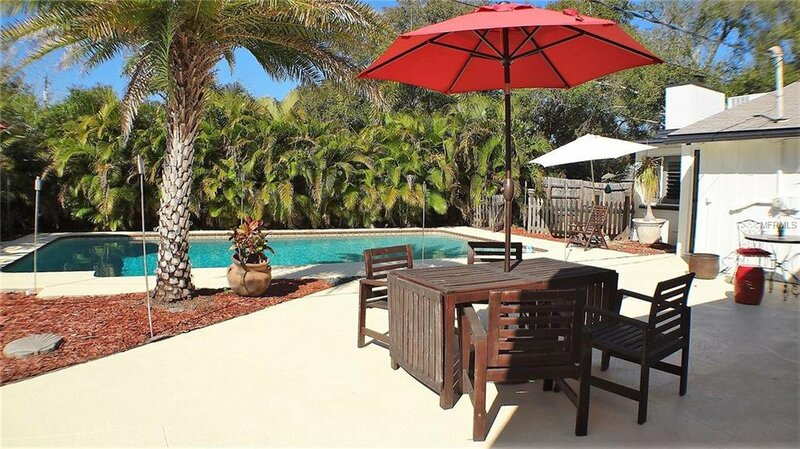 A paradise oasis awaits for you in this wonderful pool home. 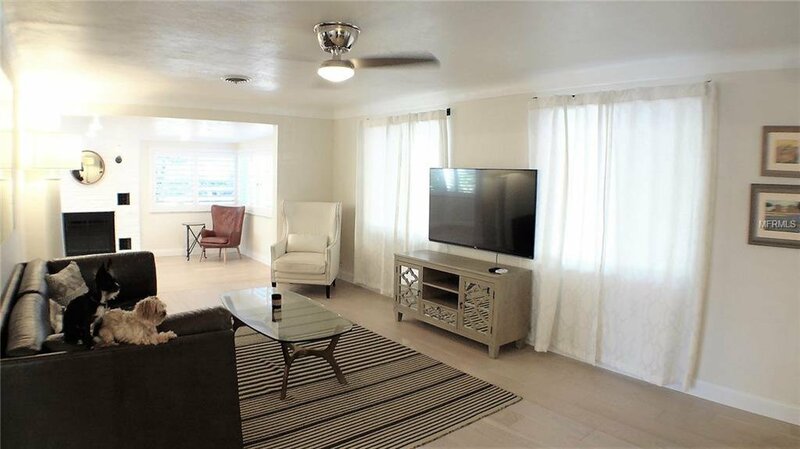 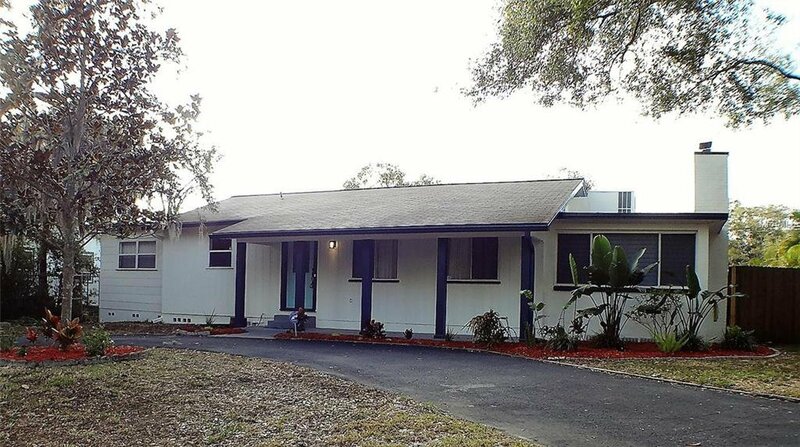 Home sits on a 1/4 acre lot in a family friendly neighborhood. 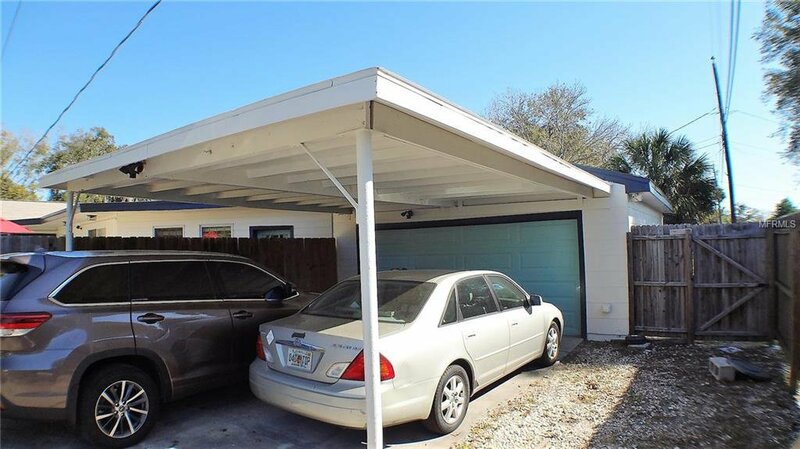 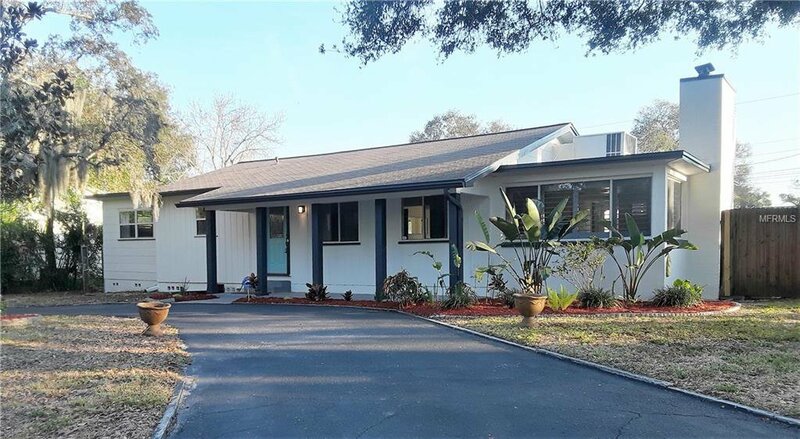 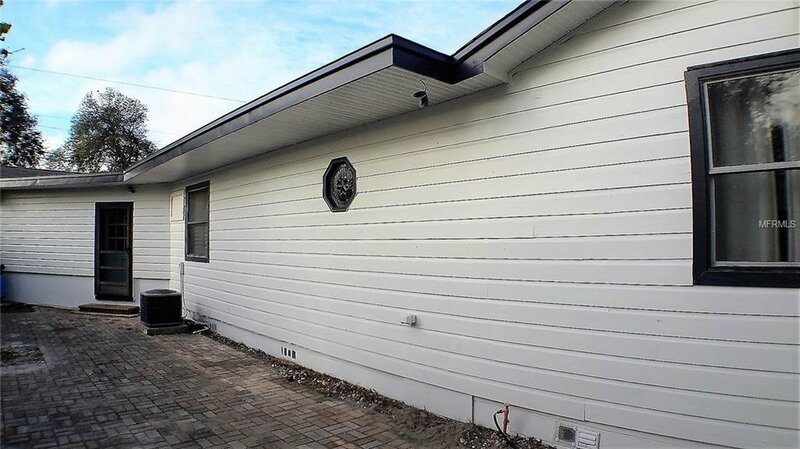 The exterior of the home features a circular driveway in front and a 2nd driveway in the back, leading to a 2-car garage, 2-car carport & there's room to park an RV or boat. 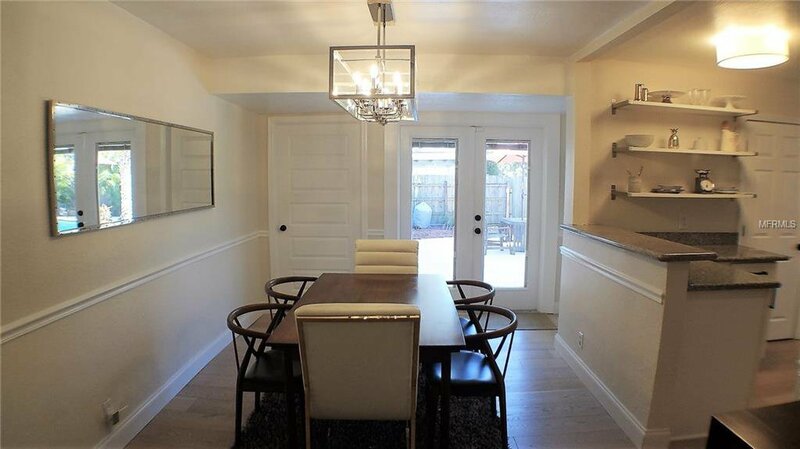 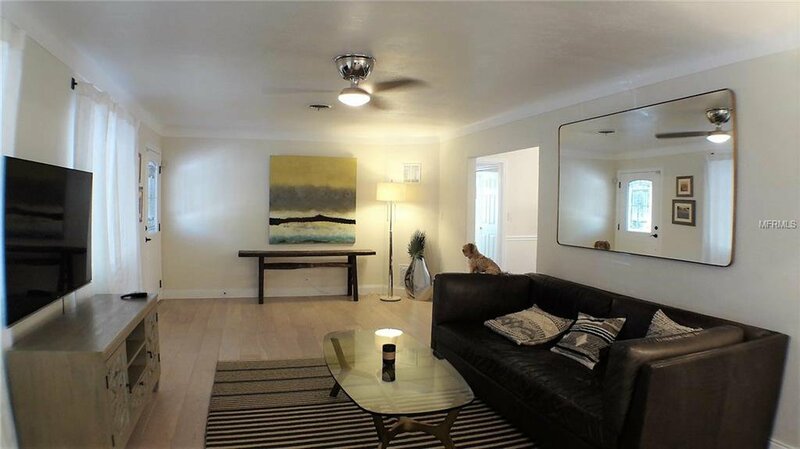 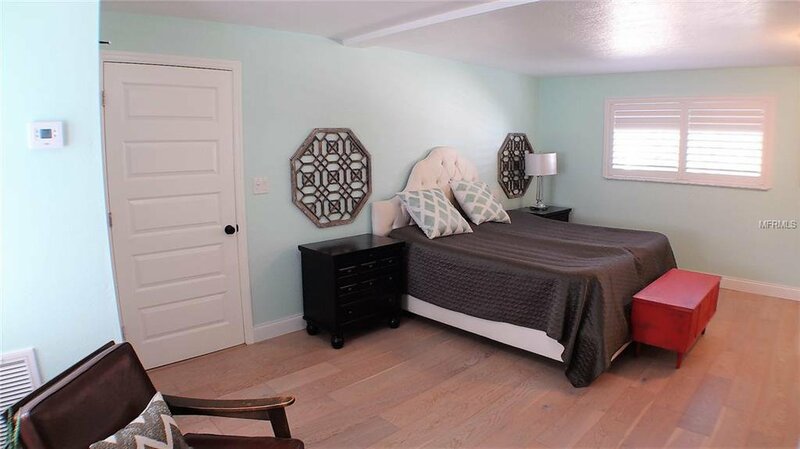 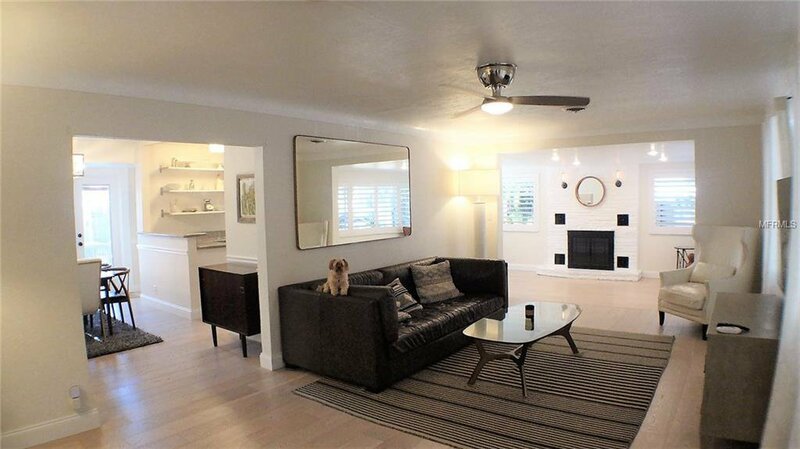 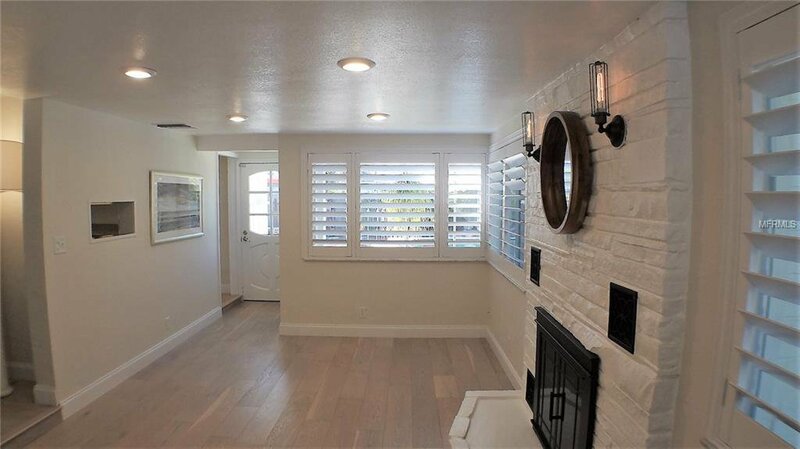 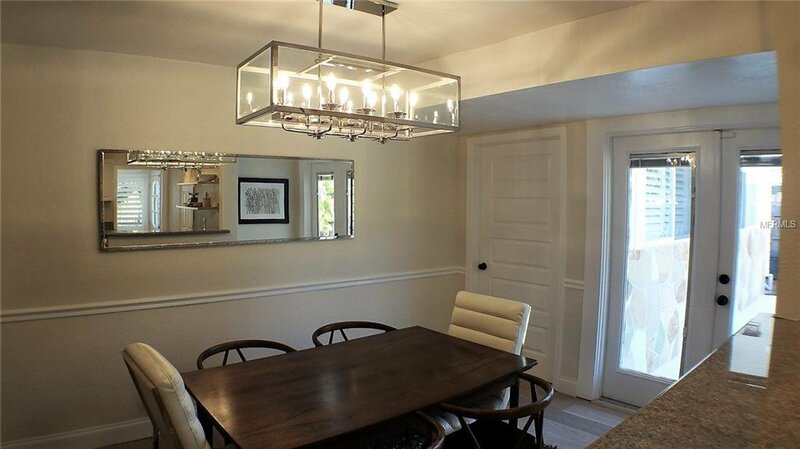 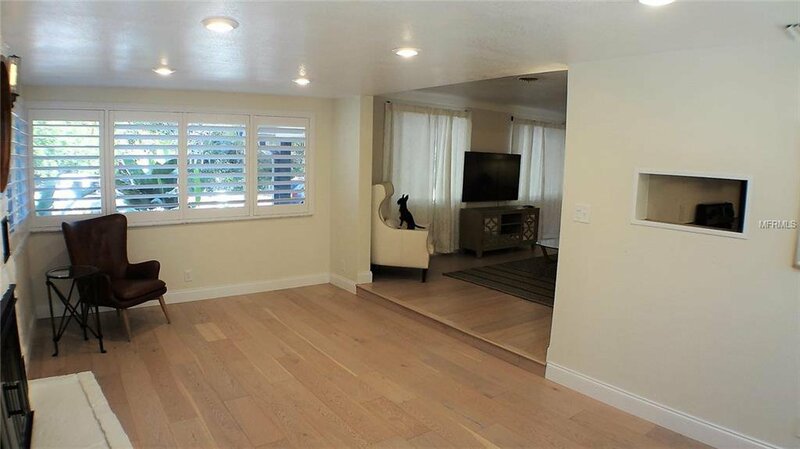 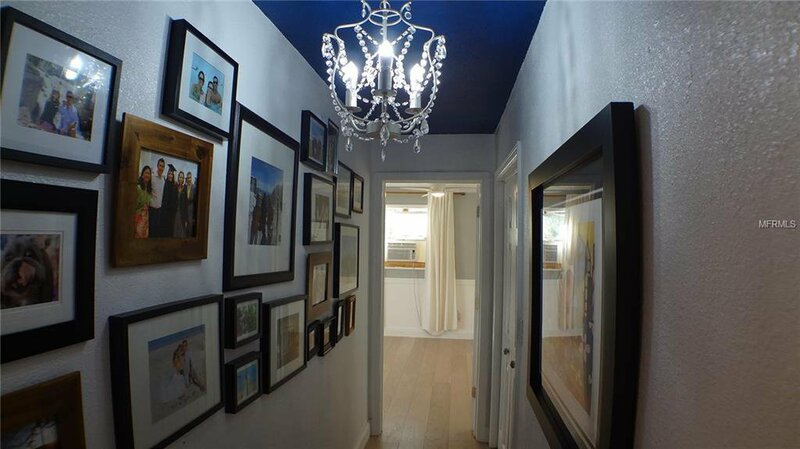 The interior of the home features wood floors throughout the home, fresh paint, update lighting to list a few. 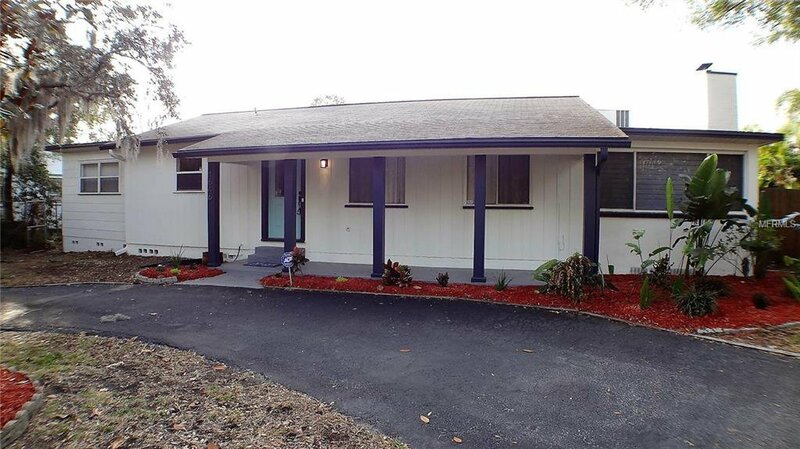 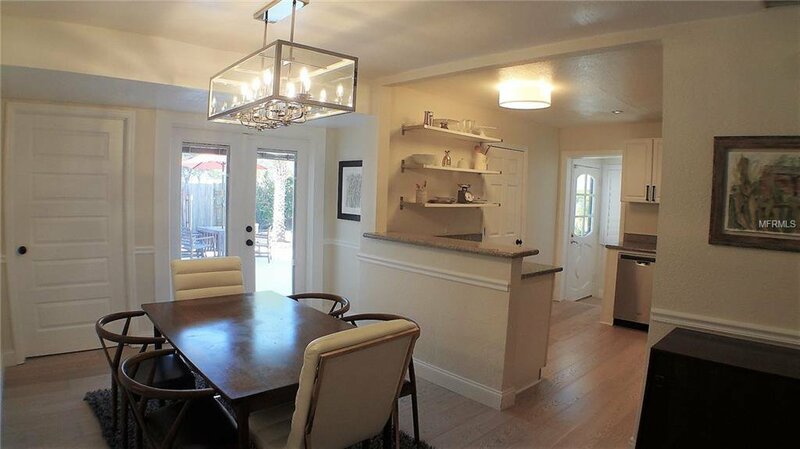 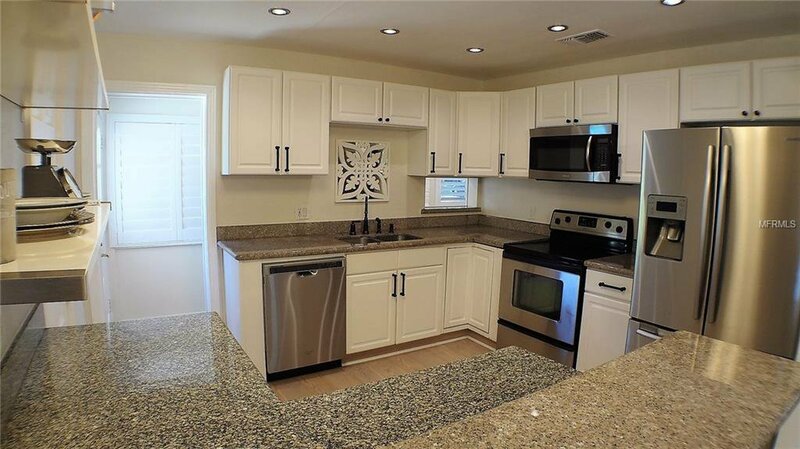 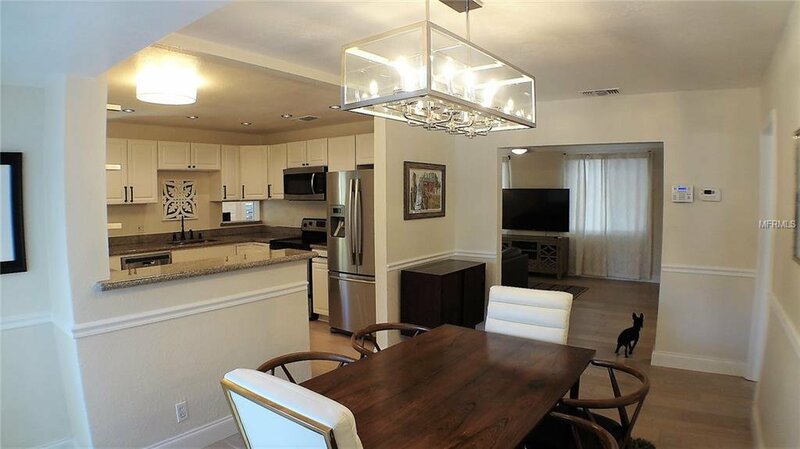 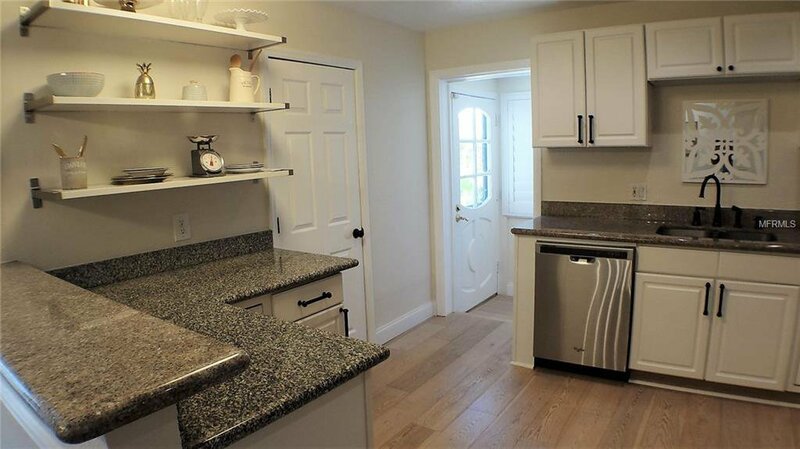 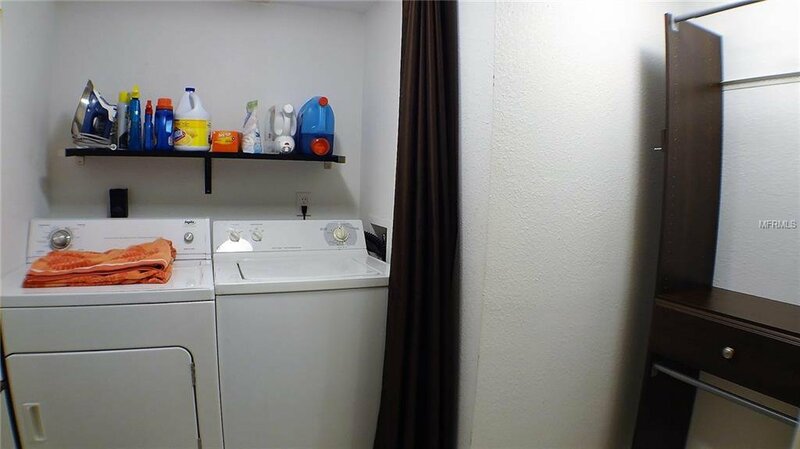 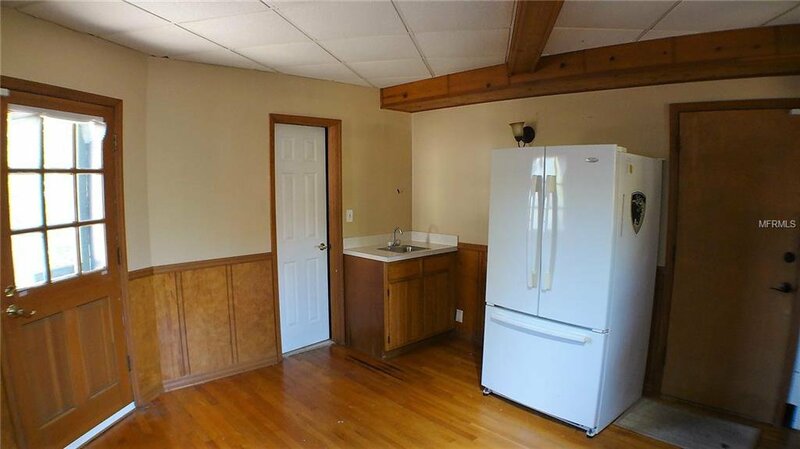 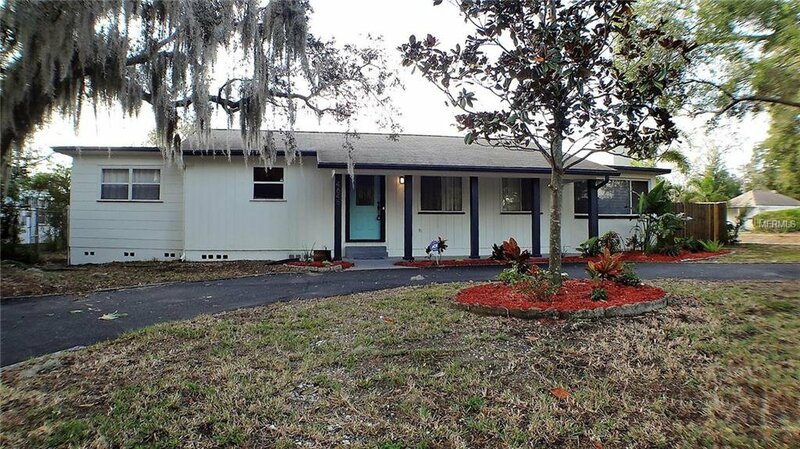 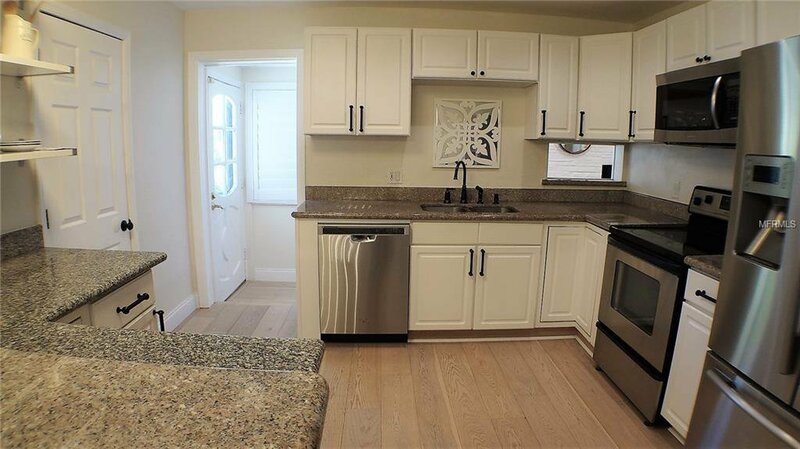 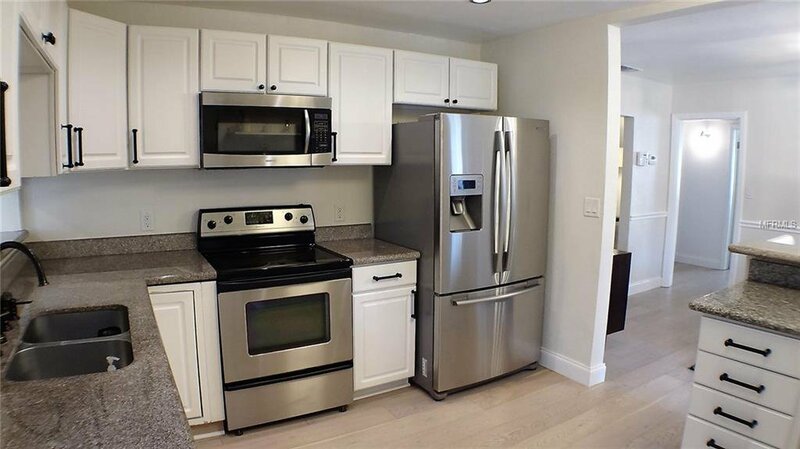 The updated kitchen has granite counters & walk-in pantry with stainless steel appliances. 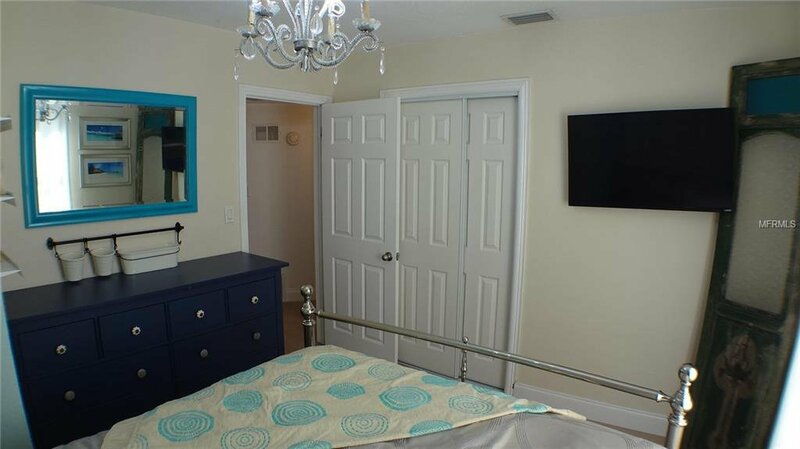 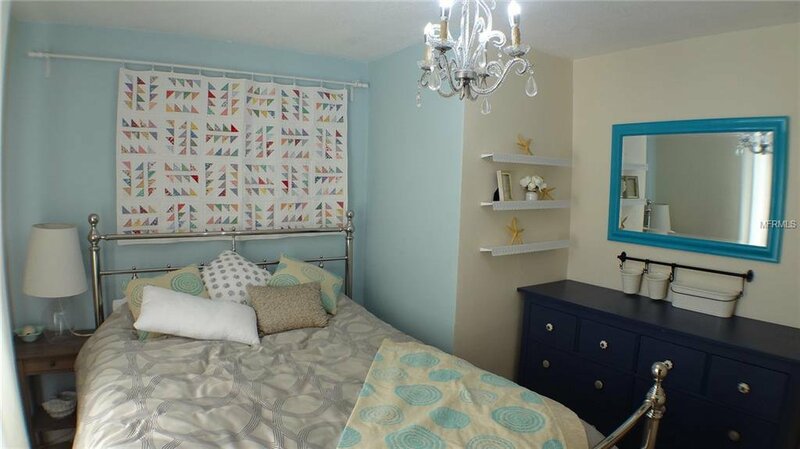 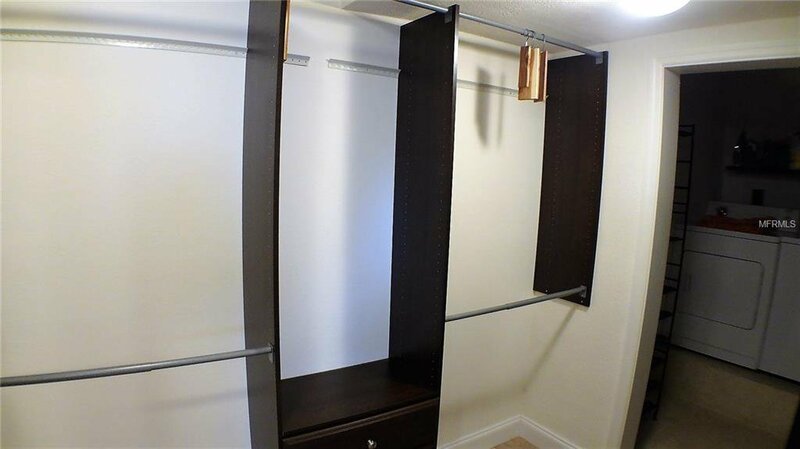 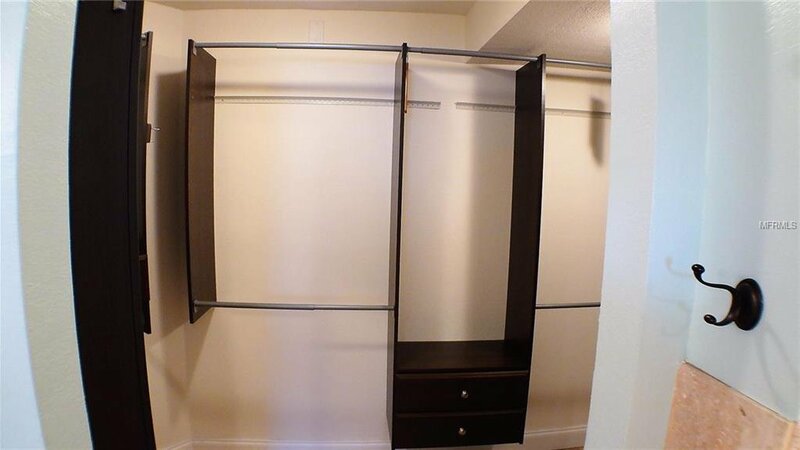 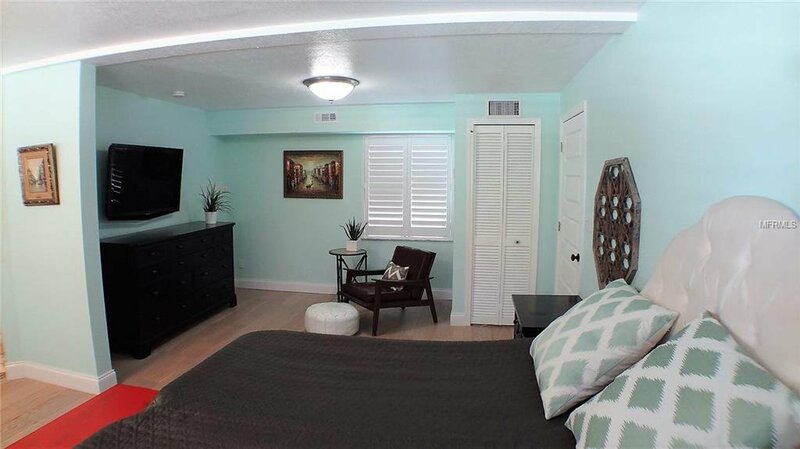 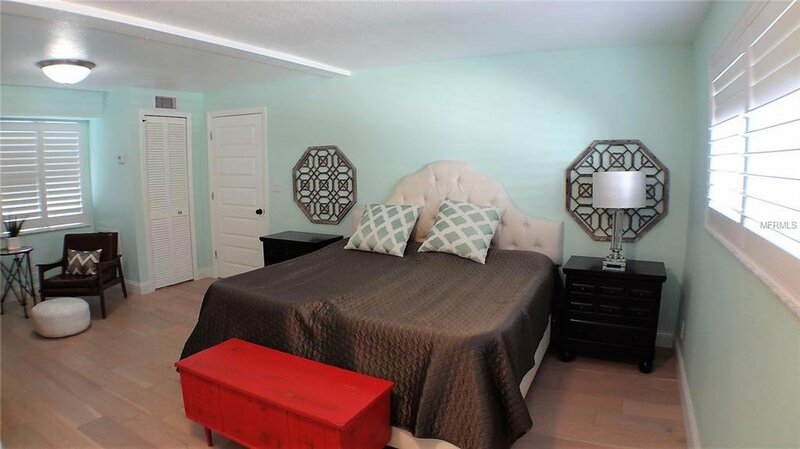 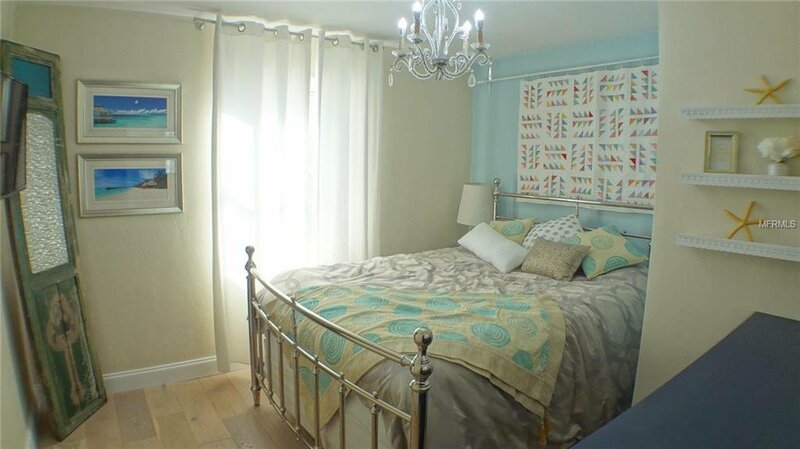 Spacious master bedroom has vanity/sitting area to the side. 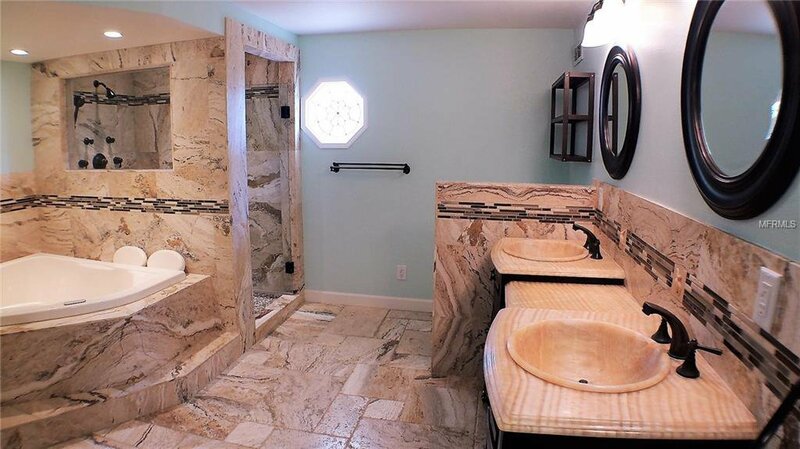 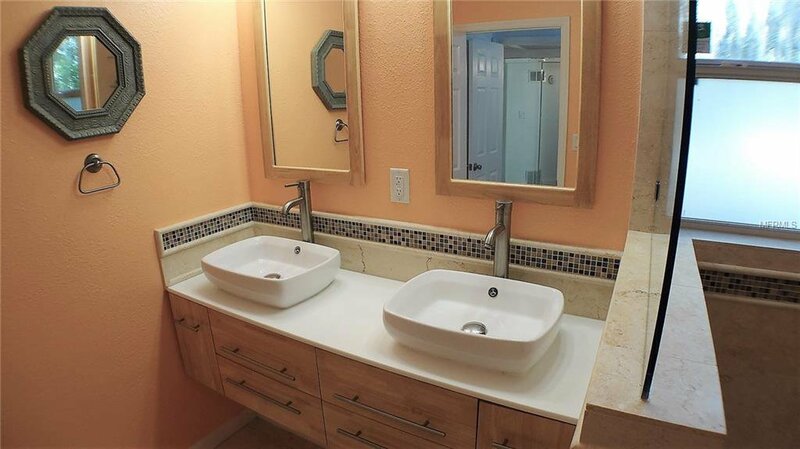 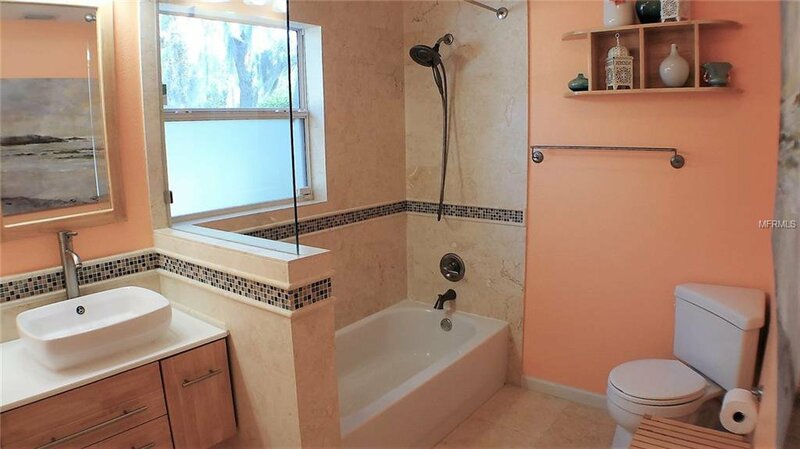 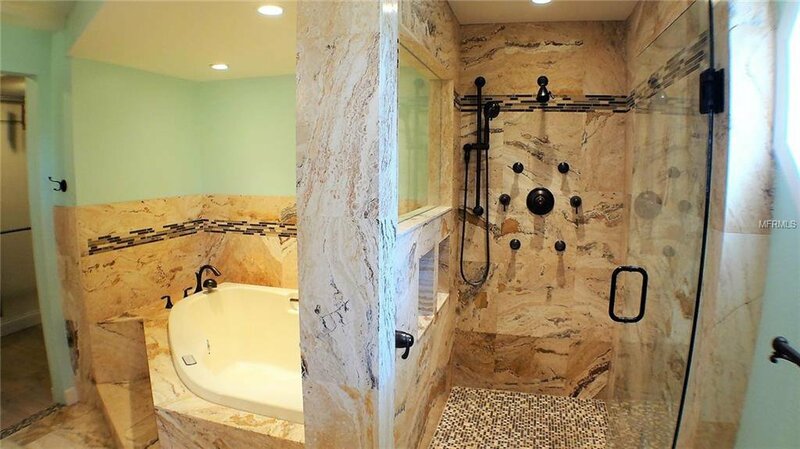 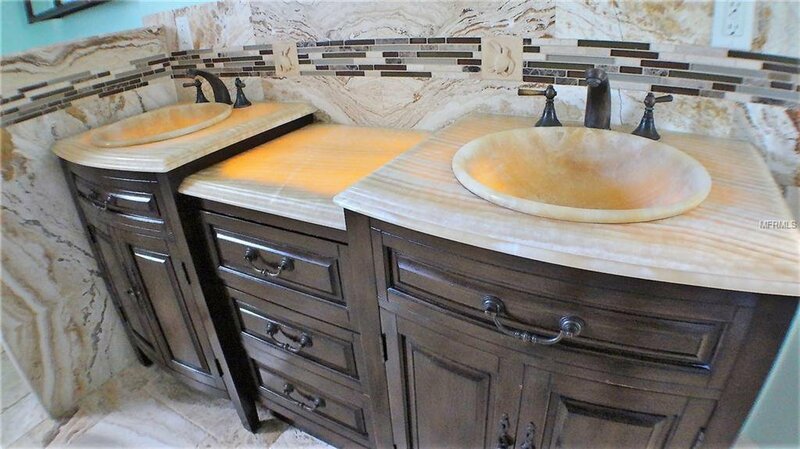 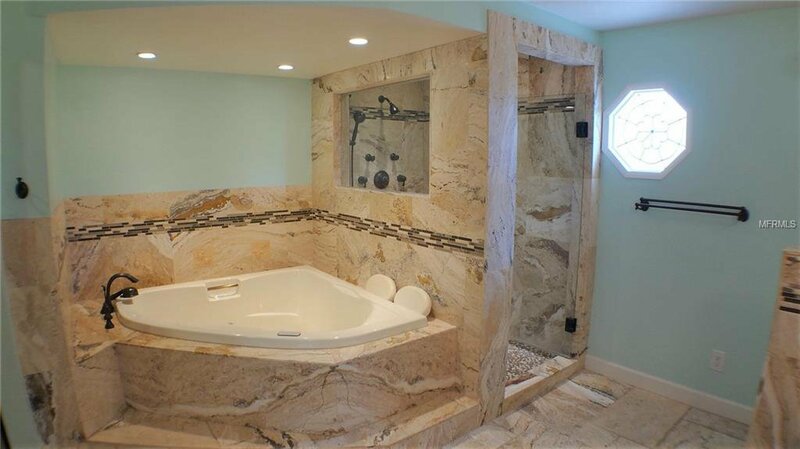 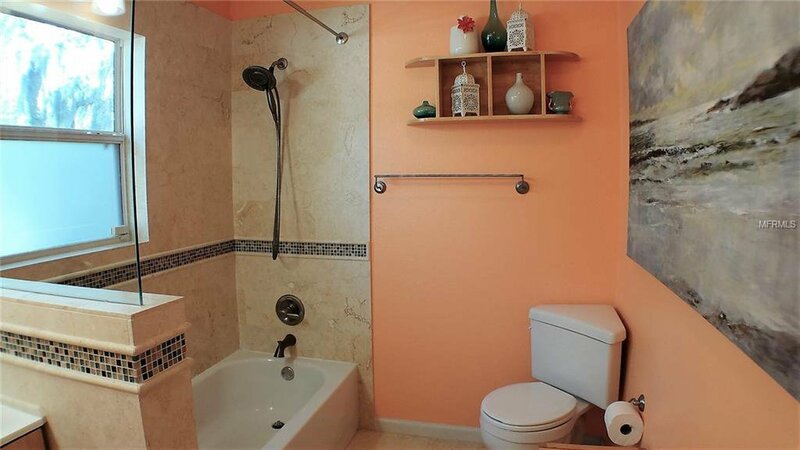 The huge master bathroom is covered in travertine tile and boasts lighted onyx sinks and vanity top, walk-in custom built shower with 6 massage jets, two-person air bath Jacuzzi tub, and a walk-in closet and laundry room built-in. 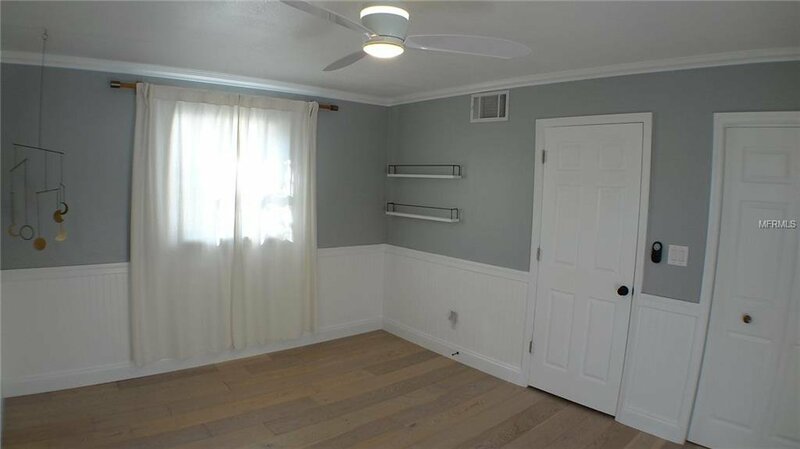 Bonus room off the garage can be used as office or game room. 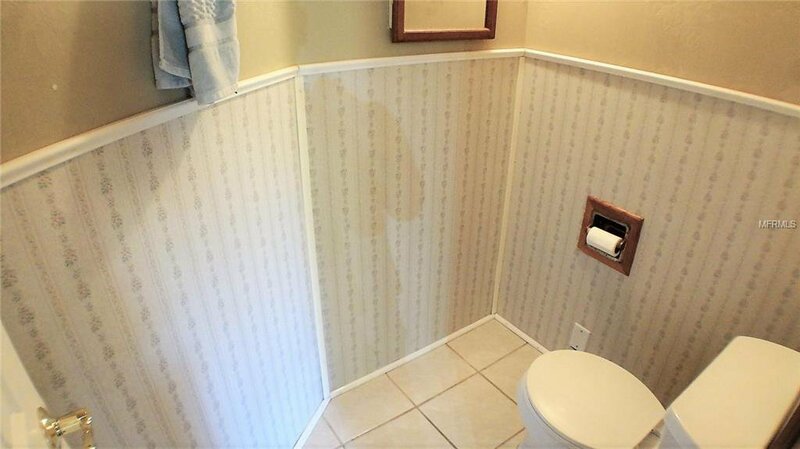 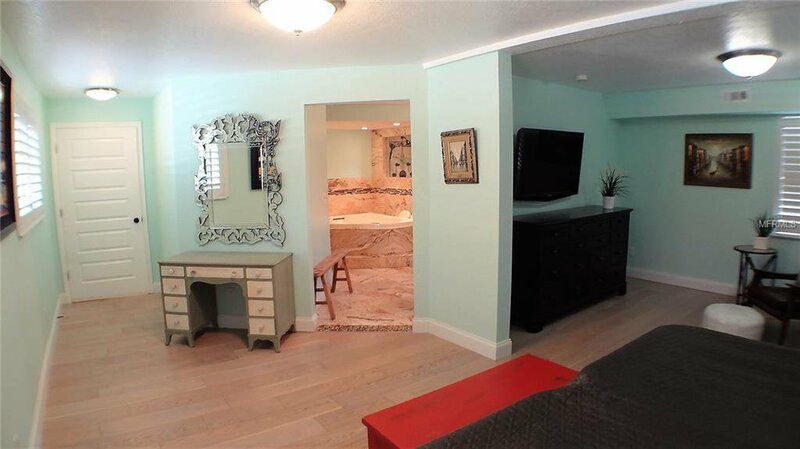 This room has a half bath and has access to pool. 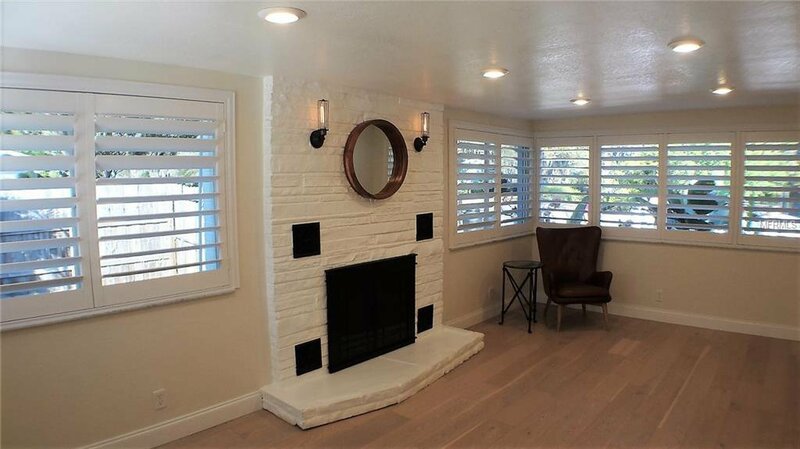 Family room just off living room has fireplace and large windows with plantation shutters. 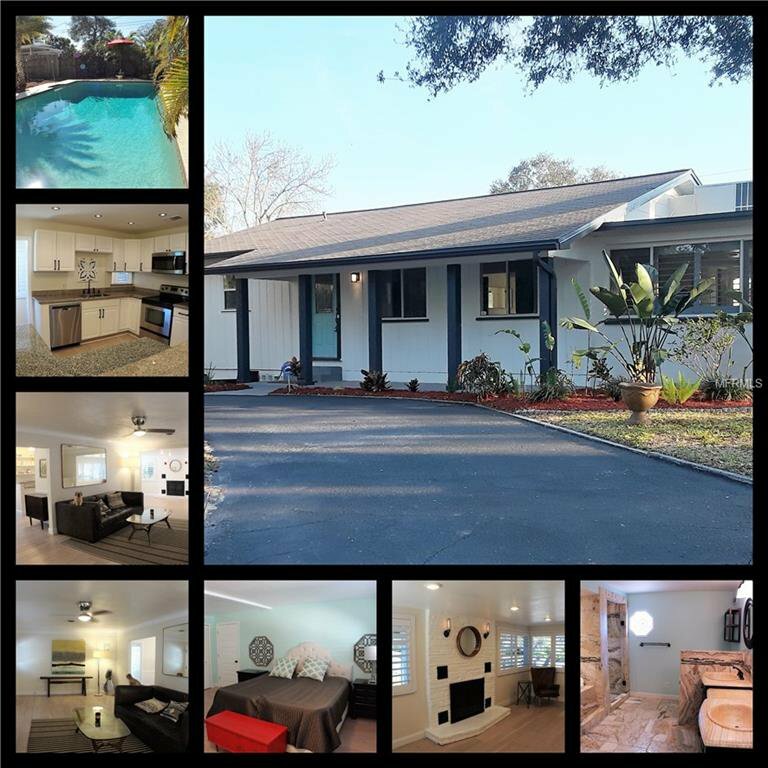 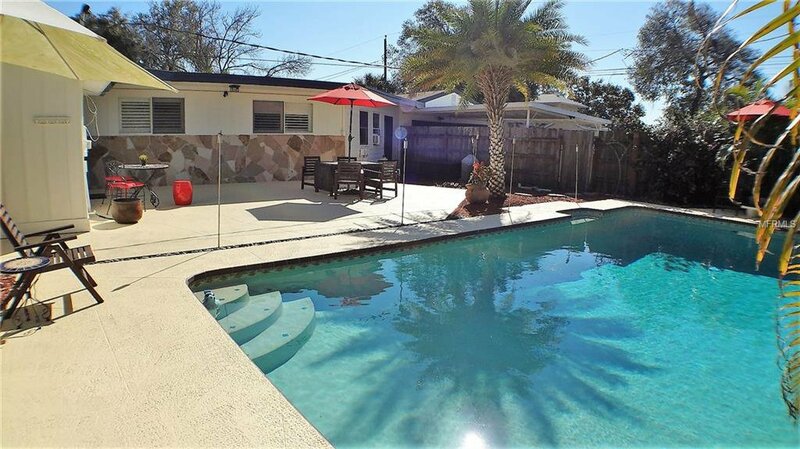 French doors open to a huge, tropically landscaped patio area with over a dozen palm trees and a 16x32 ft. in-ground pool. 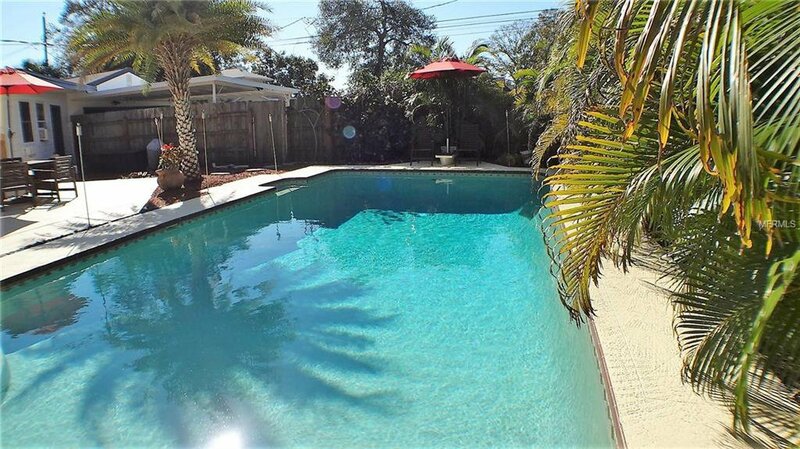 It is an oasis on high ground in the middle of the city, only minutes to the beaches and downtown St. Petersburg. 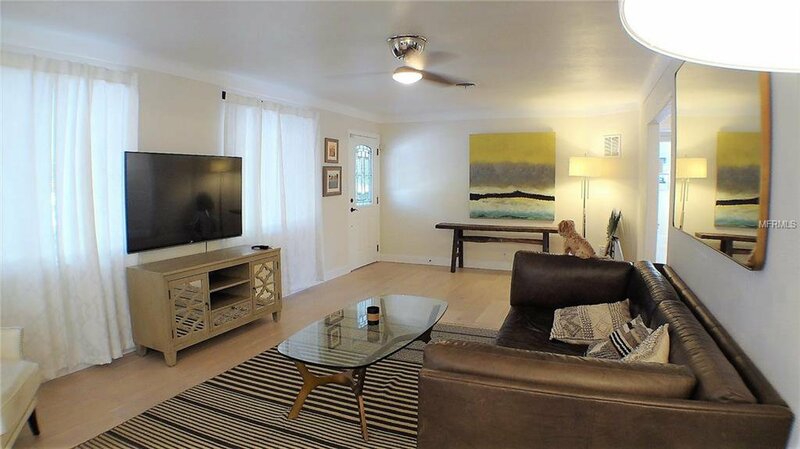 Truly a special home. 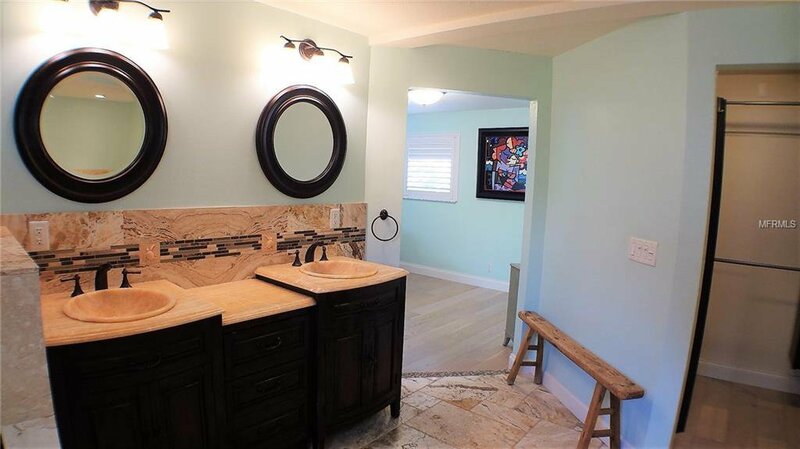 Listing courtesy of RE/MAX HOME.